This coin was a wonderful gift and a highlight to the work we do. I have for years worked for nonprofit organizations that have all left a profound impact on my life. At Valley Vista I get the opportunity to touch people's lives on a daily basis. Sometimes it is that little extra we can do for someone that makes even those last few moments of life special. This beautiful coin is allowing me to think outside of my normal daily life to push me to find someone else I can do something for, and for them in turn to pay it forward. Until then I will keep it with me to remind me to always try a little harder to go that extra step for everyone I come into contact with. This coin was gifted to Christy, a coworker at Valley Vista Care Sandpoint. She helped pull together a special anniversary dinner for a patient of our's who has terminal pancreatic cancer. It was his and his bride's 15th wedding anniversary...probably his last celebration of it here on this earth:( ( Determined to make his last days as incredible as possible, we quickly planned a dinner hosted at our our facility. It was complete with a private meal, sparkling cider in champagne glasses, 12 red roses + 1 white rose and gifts for his wife! It turned out beautiful and they LOVED the thoughtfulness behind it! 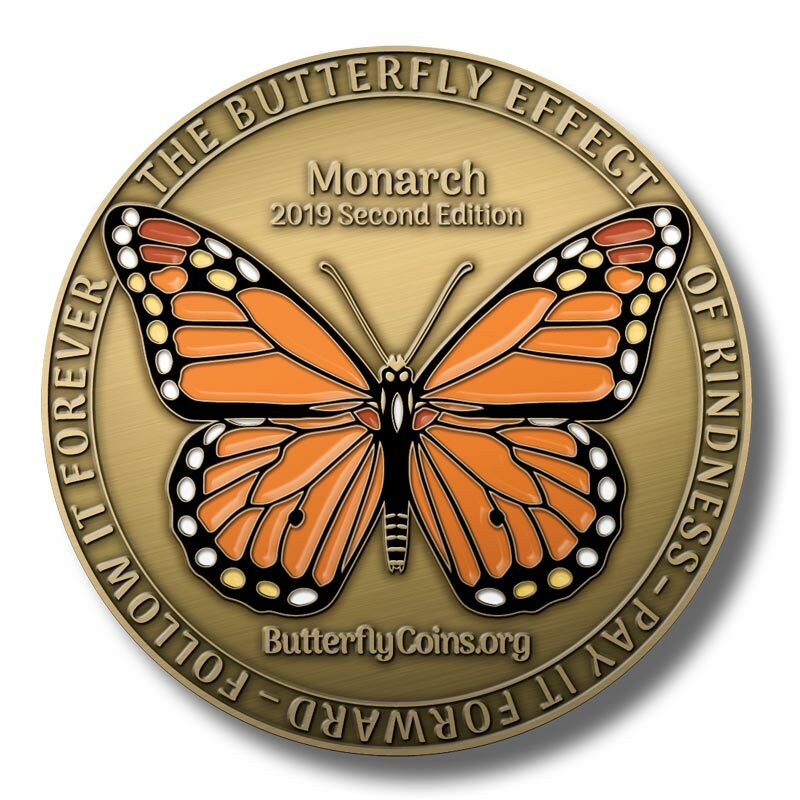 I tried to give them a Butterfly Coin, but they requested that I pass it on to someone who was involved in making this celebration memorable. So, Christy is the recipient...Do Good & Fly On! Operation Butterfly Effect at Valley Vista is taking flight! !